At Least 5 People Killed in New Earthquake in Indonesia's Lombok Island - Integration Through Media ....! 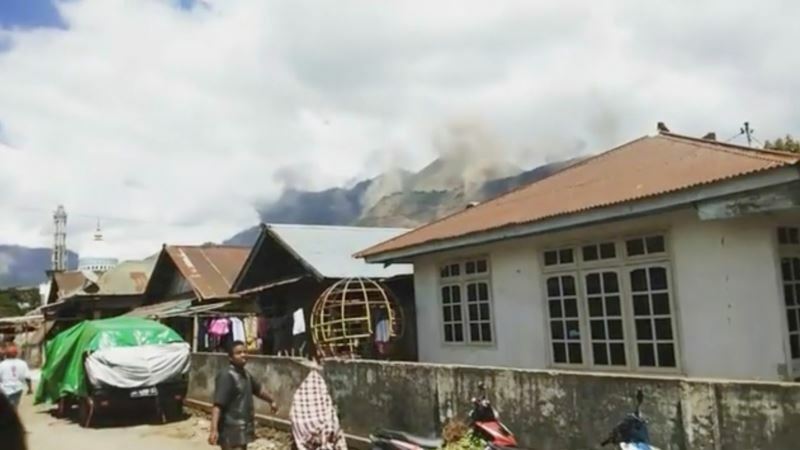 (VOA): At least 5 people were killed by a strong earthquake that struck the Indonesian tourist island of Lombok and the neighboring island of Sumbawa Sunday evening. Ninik Rahayu of Ombudsman Indonesia, told VOA's Indonesian service that she was asked to leave her hotel in Lombok Sunday. “We frantically run outside,” she said. The hotel management prevented guests from going back in “because there are some aftershocks,” she added. “This is probably the fifth big earthquake today,” Sumbawa resident Muta Aryani told VOA. She said village officials asked the panicked residents to move to a safer place. “Now we are in a big field,” she said. Indonesia is prone to earthquakes due to its location on the Pacific “Ring of Fire,'' an arc of volcanoes and geologic fault lines in the Pacific Ocean Basin. In December 2004, a magnitude-9.1 earthquake off Sumatra island triggered a tsunami that killed 230,000 people in a dozen countries.